From 4 to 6 June, Chinese Ambassador to the UK Liu Xiaoming and Madame Hu Pinghua paid a visit to Jersey at the invitation of Jersey government and parliament. During the visit, Ambassador Liu met with Chief Minister Ian Gorst, attended the welcome dinner hosted by Deputy Bailiff Timothy John Le Cocq and Mrs. Le Cocq, and had in-depth exchanges of views with Minister for External Relations Philip Bailhache, Minister for Education, Sport and Culture Rod Bryans, Minister for Economic Development Lyndon Farnham and representatives from finance, business, tourism, education and other circles. During the meeting with Chief Minister Ian Gorst, Ambassador Liu noted that the business cooperation between China and Jersey had taken a firm step forward, showing a sound momentum. The recently held China-Jersey Business Forum in London was a complete success. It enhanced the mutual understandings between the two sides and achieved great results. China-Jersey cooperation enjoys huge potentials. Businesses in China and Jersey should make use of their respective advantages to further expand mutually beneficial cooperation. Ambassador Liu spoke highly of the planned Confucius Classroom by Hautlieu School of Jersey and Beijing Bayi High School. He said the Chinese Embassy in the UK is ready to provide assistance to Jersey schools in Chinese language teaching. Ambassador Liu also put forward suggestions and proposals on technological exchanges and cooperation between the two sides. 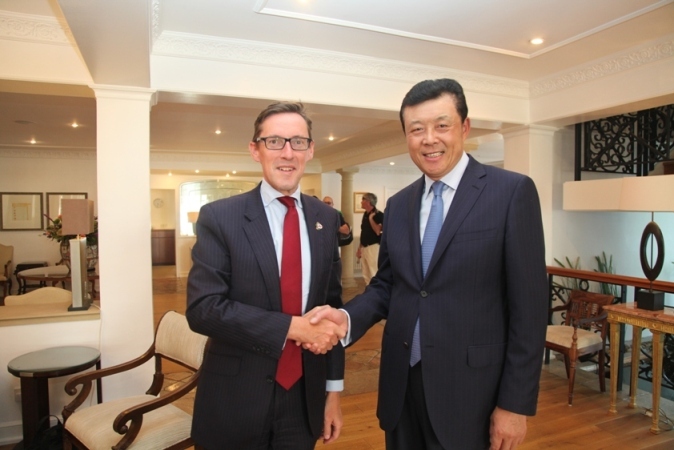 Chief Minister Ian Gorst expressed his thanks to Ambassador Liu and the Chinese Embassy for the support in developing the Jersey-China relations. He hoped that he will visit China again this year and facilitate the cooperation between the two sides in various areas. At the welcome dinner, Deputy Bailiff Timothy John Le Cocq extended warm welcome to Ambassador Liu and Madame Hu Pinghua, and expressed his thanks to Ambassador Liu for his efforts in promoting the bilateral exchanges and cooperation. 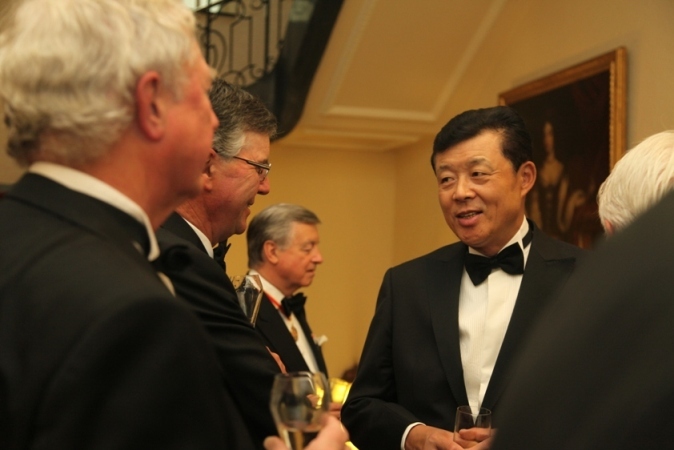 Ambassador Liu expressed delight at revisiting Jersey. 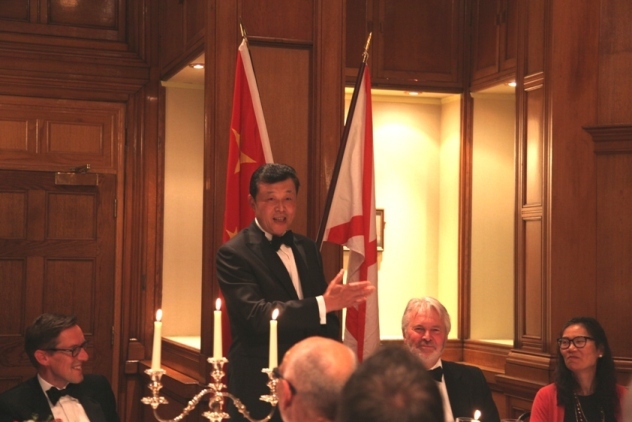 This shows the Chinese side attaches great importance to developing relations with Jersey, he said. China and Jersey enjoy good cooperation in areas of trade, culture and education. China is willing to work with Jersey to take the bilateral cooperation to a new level. During the visit, Ambassador Liu and his party toured the mobile network project built by ZTE for Jersey Telecom.